I have so much fun each year at the Panguitch Quilt Walk. So it's no wonder that I look forward to the second weekend in June. As it approaches I get more and more excited. This year I'll be teaching two classes, Modern Gems and Dazzled. I've been asked if I could provide kits for my Modern Gems class. 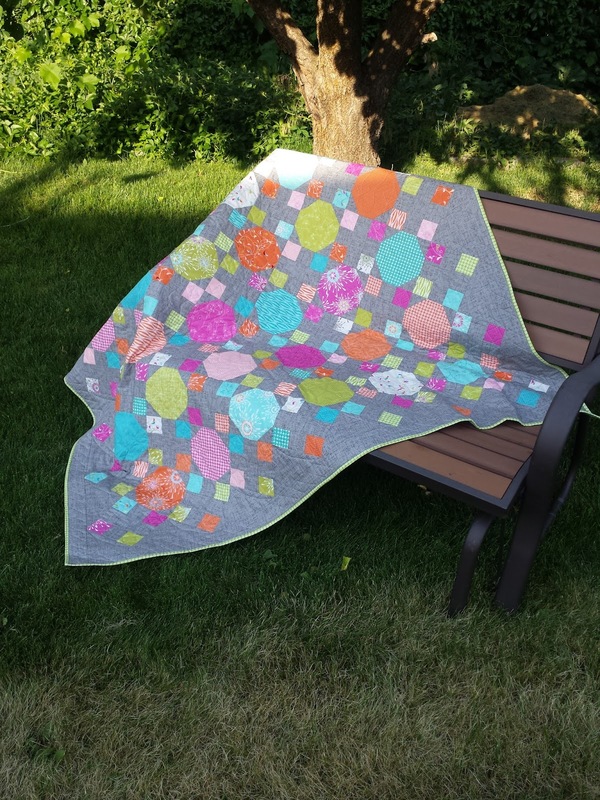 Since I could quickly cut it out with my Accuquilt Go, I said yes. 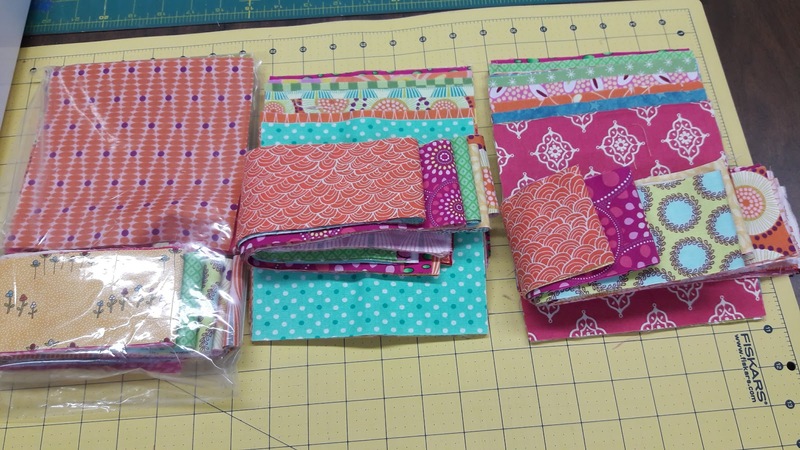 So I pulled a bunch a fabric and go busy cutting. All the prints are are cut. I had to order more background. I'm hoping it arrives today. Now it's your turn. What have you been moving forward. Can't wait to see. sounds like a fun event - I am familiar the history of the event. Love the quilt shown -- is it Modern Gems? By the way, do you realize your linky party is not actually showing at the bottom of your blog. There is a sentence that says An InLinkz Link-Up that is actually linked to the group of links. It's a bit confusing and I thought your thumbnails always showed up on your blog. I bet you do look forward to the quilt walk! Sounds like fun! 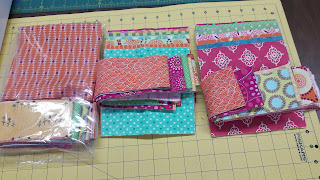 What a pretty fabric pull! Have a great time!